Arsène Wenger has made a science of football management and turned his players into artists. A surprise appointment at Arsenal FC when he arrived in 1996 and now the most established manager in English football, Wenger managed to convert a sceptical, entrenched footballing culture to his modern way of thinking. In this newly updated biography, Jesper Rees uncovers the true story behind this deeply private man, having been granted unprecedented access to Wenger's friends and family, players and rivals. 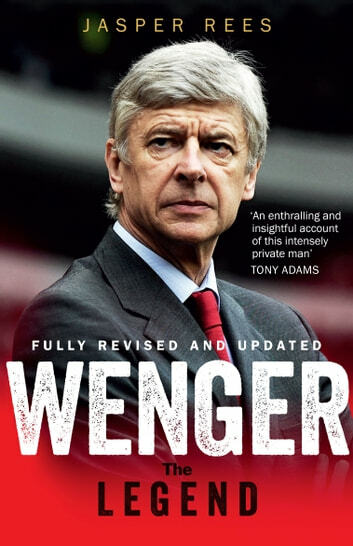 Rees shows how Wenger's revolutionary ideas on psychology, diet and fitness were shaped by his own experience - from childhood in Alsace, to his days as a player and coach in France and Japan. Wenger has survived smears and scandal, taken his club to a new stadium and transformed Arsenal into a European powerhouse, all the while sticking to his principles of nurturing youth and raising the "beautiful game" to previously unimagined heights.